How is a total knee replacement outcome related to the following factors? A recent research tried to answer some of the above questions after studying data of patients who underwent total knee replacement surgery between 1999 and 2003. Close to 2000 patients in United Kingdom were analyzed over a 10 year period after they underwent total knee replacements. The knee condition of patients was assessed based on a set of questions known as the Oxford Knee Score (OKS). OKS comprises of 12 questions that are used to assess pain and functional status of a knee. An OKS score of 0 indicates the worst knee condition. So, what did this research find? Patients who had a worse knee condition, i.e., a low OKS score before surgery, were reported to have a lower OKS score post-surgery, than those who had a better knee condition. So, if one waited for too long to undergo a knee replacement, he or she had lower than the satisfactory OKS score after surgery. Poor mental well-being was associated with poor OKS scores. A poor mental well-being implies that the person is stressed, suffering from anxiety, depression or any other mental-health issue. Patients with BMI higher than 35 kg/m2, which denotes obesity, were reported to have lower OKS scores. 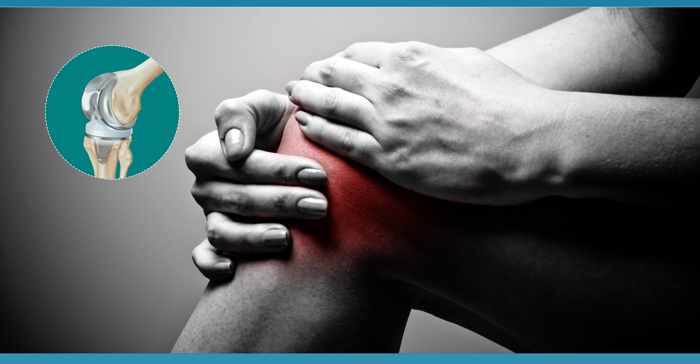 It is essential to maintain a healthy weight, especially after you have started experiencing knee pain. Low impact activities coupled with diet control, helps lose weight. Poor outcomes were associated with patients belonging to more deprived areas. Patients with a history of repeated knee injuries showed poorer outcomes after a total knee replacement procedure, compared to those who did not have such history. Patients having underlying medical conditions (such as hypertension, diabetes, hypothyroidism, kidney dysfunction, rheumatoid arthritis, and other conditions which are collectively known as comorbidities) had relatively poorer outcomes. An interesting finding was that OKS scores generally improved with time, after surgery, that is, the knee condition gradually improved both in terms of function and pain, over time. At HealthClues, we constantly try to bring you the latest in the medical research from the most reputed medical journals. Our team distils hard to understand medical research information in simpler words, so everyone can understand it. However, be aware that since most of the research is carried out in the Western and more developed countries, the results may not always apply to the Indian population. Further, any medical research may have chances of errors in measuring and reporting the findings. Knee Replacement, Medical Research chronic knee pain, knee replacement, knee surgery, TKR, total knee replacement. permalink.